Having been staying in the West for up to 2 years, it was only recently that I get to know that there was a Vietnamese restaurant near my place. 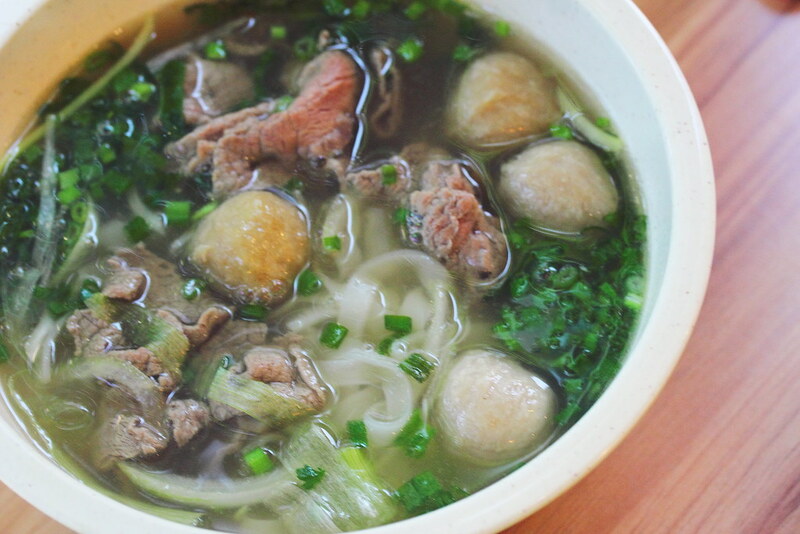 I was researching where I can find Bun Cha in Singapore, the very dish that President Obama had with Anthony Bourdain in Hanoi. 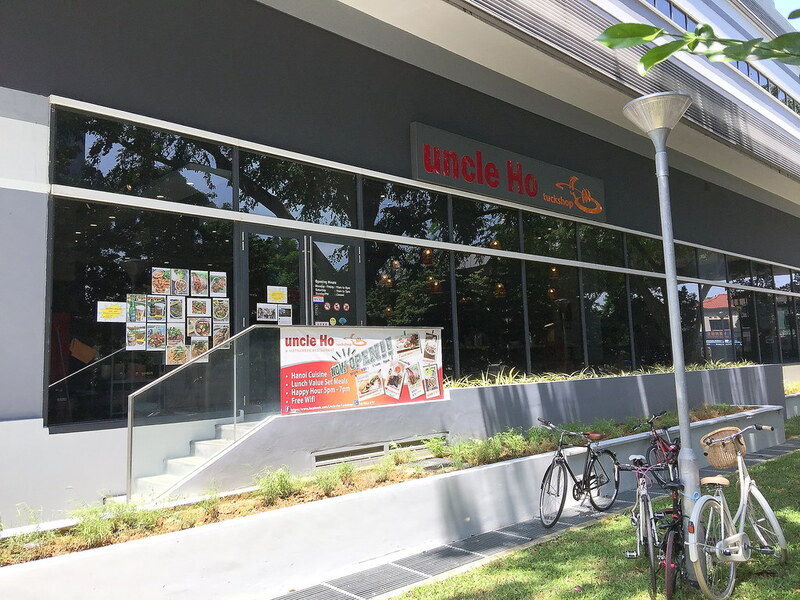 Uncle Ho Tuckshop is actually located off the West Coast Highlight, along Pasir Panjang Road inside a commercial building. It is off the main road, no wonder I have never spot the restaurant all this time. We started will some Fried Spring Roll ($8.50) for lunch before our mains. 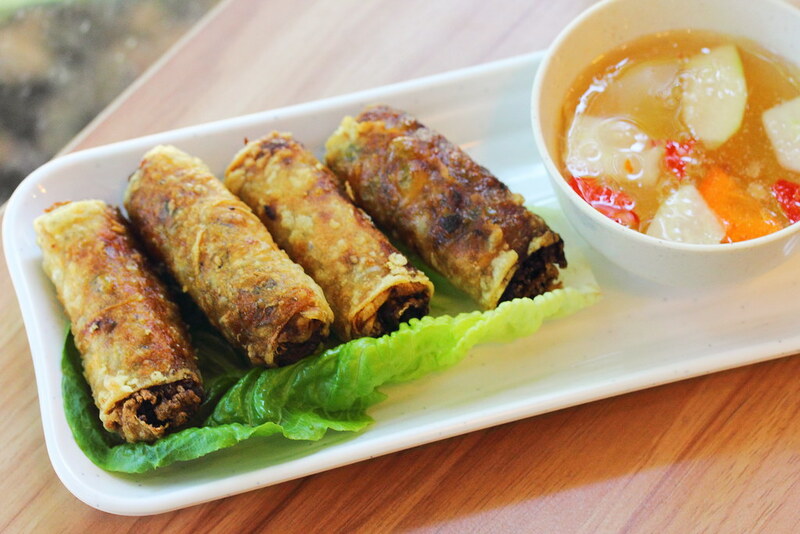 The spring rolls were crispy and stuffed with minced meat. The full flavour and texture enjoyment is always my choice over the Vietnamese spring roll which I find it too bland to my liking. 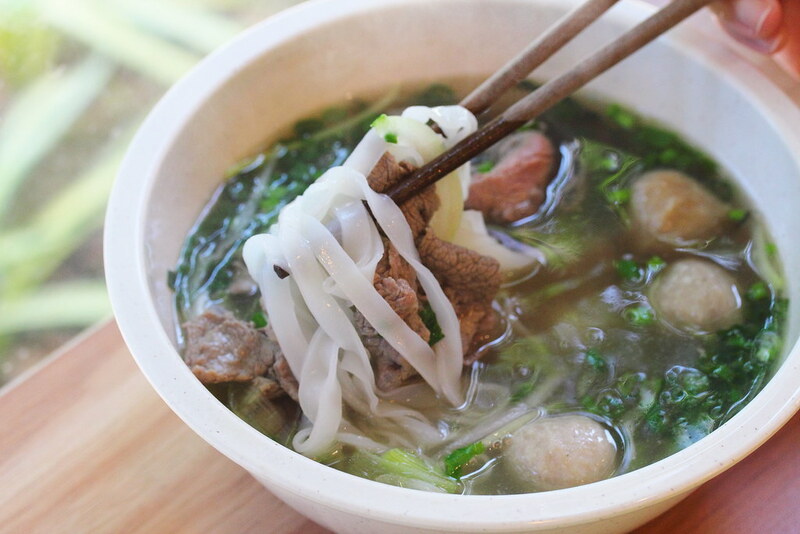 A typical dish that I will always order when I visit a Vietnamese restaurant is the Pho Beef ($9.90). I had the combo which comes with beef slices and beef meatball. 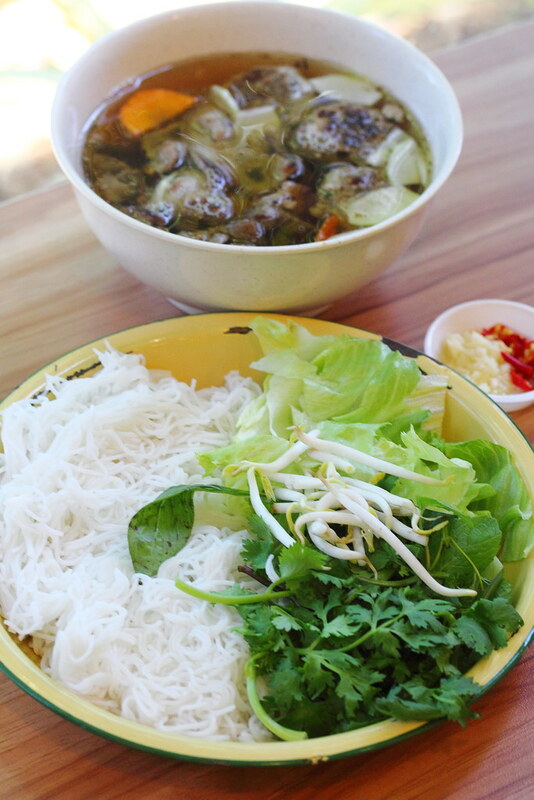 The sweet broth, smooth rice noodles and the fresh ingredients all came together for a comforting and hearty dish. A little disappointment is that the pho beef does not come with sides of beansprouts and mint leaves. 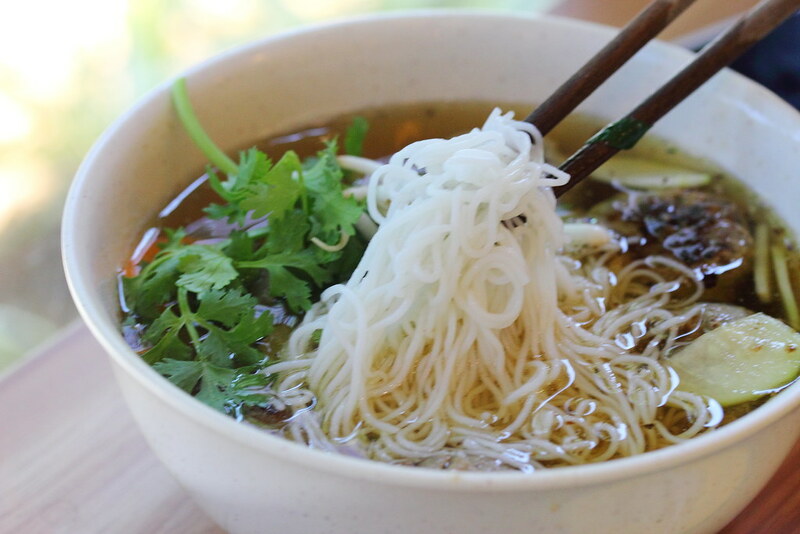 For Vietnamese cuisine, we are more familiar with their spring roll, banh mi and pho. However President Obama has made Hanoi Bun Cha popular to the world. This is my first time having the Hanoi Bun Cha ($12.90) in which the rice vermicelli and sweet soup is served separately. The sweet soup comes with a mixture of vegetables, onions, grilled pork belly and grilled meatball. Some chopped chillies are added into the soup for a spicy kick. To eat, we have to dip the rice vermicelli into the soup, coating the noodles with the sweetness, for a slurping goodness. 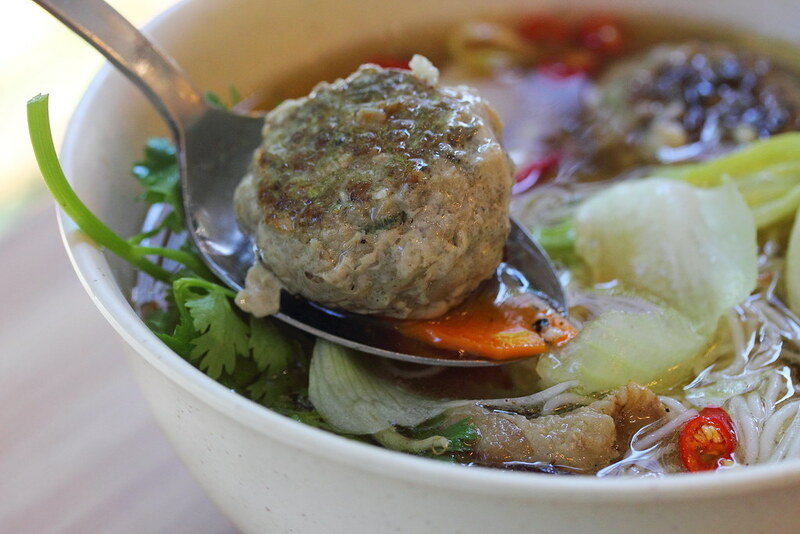 For me, the real highlight of bun cha is the grilled meatball which is well seasoned, flavourful and juicy. Overall, the food at Uncle Ho Tuckshop is above average and it is wallet friendly. On top of that, the relax and casual dining is quite cozy during my visit on a Saturday afternoon. I would probably go back and try their banh mi in my next visit.